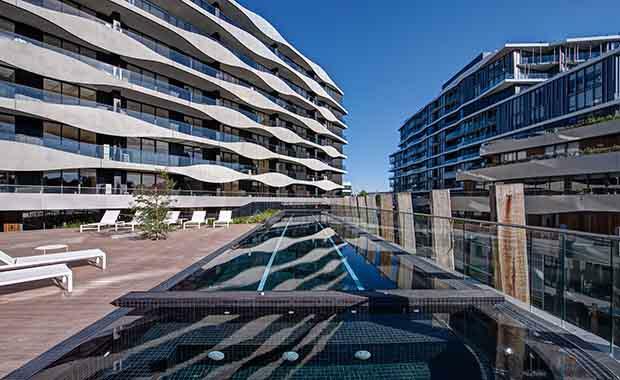 One of Australia’s most successful high-rise architecture firms has opened an office in Sydney to service the multi-residential development boom in New South Wales and the Australian Capital Territory. The company is highly experienced in the design of high and mid-rise multi-residential developments, designing more than 10,000 apartments in Melbourne last year alone. The firm is also experienced at timing their entry into property markets. ROTHELOWMAN opened an office in Queensland three years ago, at the end of that state’s extended property slump and the Brisbane office already generates 25 per cent of the company’s income. Mr Lowman is confident Sydney will grow even more rapidly after an extended period of slow growth. A longer-than-usual, post-Olympics and post-GFC property slump in Sydney, along with immigration and population growth,“have led to pent-up demand for multi-residential development in Sydney,” Mr Lowman says. Mr Lowman expects the Sydney office to generate 30 to 40 per cent of the award-winning architecture firm’s revenue in less than three years. ROTHELOWMAN currently employs over 100 people and expects to add a further 30 people to its NSW/ACT operation over the next 24 months. NSW Planning Minister Pru Goward has committed to improving housing supply with a greater proportion of residential apartment developments in Sydney and regional areas. Approvals are at their highest level since June 1999. ROTHELOWMAN recently won approval for a $30 million mixed-use, multi-residential development in Burwood and expects approval for several other major projects in the coming months. Highly-respected Sydney architect Ben Pomroy is the newly appointed Principal of ROTHELOWMAN in NSW and the ACT. Mr Pomroy says that the long term trend of housing construction delivery of 18,000 dwellings per annum in NSW, is consistently falling short of baseline demand of 22-25,000 dwellings per annum. This difference is exacerbated by continuing population growth in the Sydney region, and as a result, greater growth in multi-unit residential development across all areas, in particular Sydney’s Western and southern suburbs, will be inevitable. Mr Lowman said limits on construction heights and development approval in Sydney over the last decade meant Melbourne-based firms now had more experience in large residential developments. ROTHELOWMAN is experienced in every aspect of design for planning approval including view-sharing, bulk, shadow, scale and urban form considerations for mid-rise mixed-use developments and high-rise apartment towers. Mr Lowman predicted the success of projects in Sydney’s western suburbs will encourage other councils to consider multi- residential and mixed-use developments and also help provide more affordable housing in Sydney. With extensive experience in retail and mixed-use design, ROTHELOWMAN is also targeting projects in the commercial and hotels sectors. Founded in Melbourne, the architecture firm is building a national presence and leveraging its Brisbane and Sydney offices to service clients across Australia.